April 19, 2011 marks the passing of Serge Nubret, one of the greatest bodybuilders to ever step on stage. Tuesday, April 19, 2011, marks the passing of Serge Nubret, one of the greatest bodybuilders to ever step on stage. He was 72 years young. The cause of death remains unknown. Our condolences go out to his family, friends, and fans around the world. He will be missed but never forgotten. Personally, Serge Nubret has always been my one of my favorite bodybuilders. Most people learn about the champions of the present day, the Jay Cutlers and Kai Greenes, before learning about those who blazed the trail and put bodybuilding on the map. I began differently, building a collection of historic books and magazines predating 1980 before learning anything about modern bodybuilding. 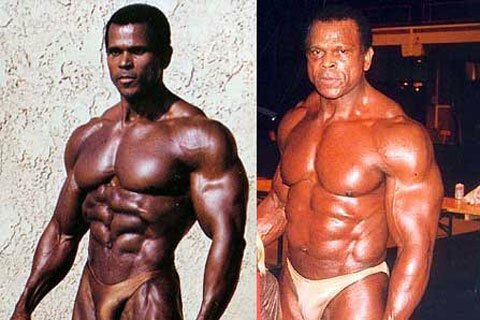 Of all the physique icons I encountered, Serge Nubret stood out the most. Serge was known for his amazing aesthetics. Long, full muscle bellies leading down to tiny joints helped him win six world titles. He also seemed ageless, looking nearly as good in his later years as he did during his bodybuilding prime. Serge was known for his amazing aesthetics. Along with being a great bodybuilder, Serge was a writer, businessman, and actor, appearing in the 1975 documentary Pumping Iron alongside Arnold Schwarzenegger, for example. He was a man who loved bodybuilding, describing it as his "reason of being" in his book I Am...Me and God. Even in the last few years of his life, Serge was active in the fitness community, doing guest posing, writing, and even offering training advice on the Bodybuilding.com forums! We pay tribute to a man who strove to be the best he could be. We celebrate the memory of the man who touched so many people&apos;s lives in such a positive way. His was a life well lived. His words and images remain, and his spirit will endure. Ride along with Arnold Schwarzenegger on a tour of Venice, California! You&apos;ll visit legendary landmarks like Muscle Beach and catch exclusive tips along the way. Sergio Oliva was a true champion. Fitness icons pay tribute to the revolutionary, bodybuilding pioneer, friend, father, and legend. You don&apos;t have to choose between family time and time in the gym. Learn how to strike a healthy balance with these tips.